WHEN: Fort River School Art room - 70 S East street, Amherst, MA. 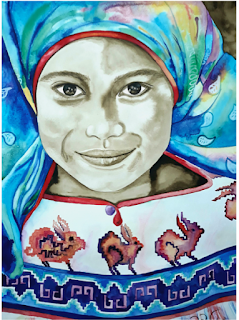 Join our visiting Mexican artist Veronica Rangel in a water color adventure. ​This workshop is for adults but as we say it in Multi-Arts Every child is an artist and we know that that artist is still in you. Come and become again a creative artist. ​Veronica will lead you​ into a fun, creative and refreshing adventure of watercolor artwork. This is a free workshop but donations are appreciated.